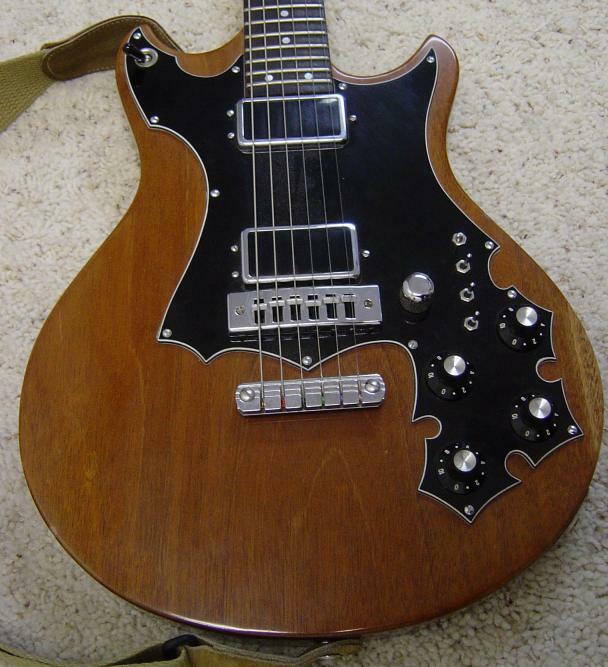 Time Guitars • View topic - The Rat-Bite pickguard in full glory! Tom Plunket submitted these photos of his MINT GS. Tom has taken great care of this GS. This is one of the 1st Guitars built in the Barn in South Burlington. Pickup Selector is a Les Paul type. Pickups are modified Might-Mite with the chrome covers. The stop tailpiece from Schaller. We had a limited stock and they were discontinued a few years before. The bridge is a Gibson S1 or L6-S [by Schaller], modified with locking set screws on the height adjusters. The guitarist, Paul Asbell coined the term "Rat-Bite' to describe the pickguards.